Hello Wednesday! 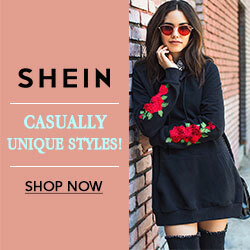 We are half way to the weekend and I am counting down the days! 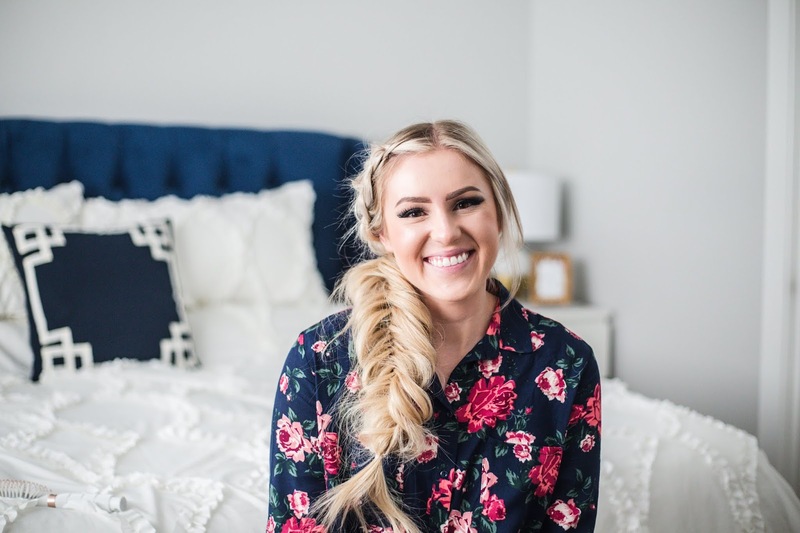 I wore this dutch/fishtail side braid when we went to Vegas a couple months ago and got so many questions on how I did it! So I am finally getting around to share a tutorial for it. 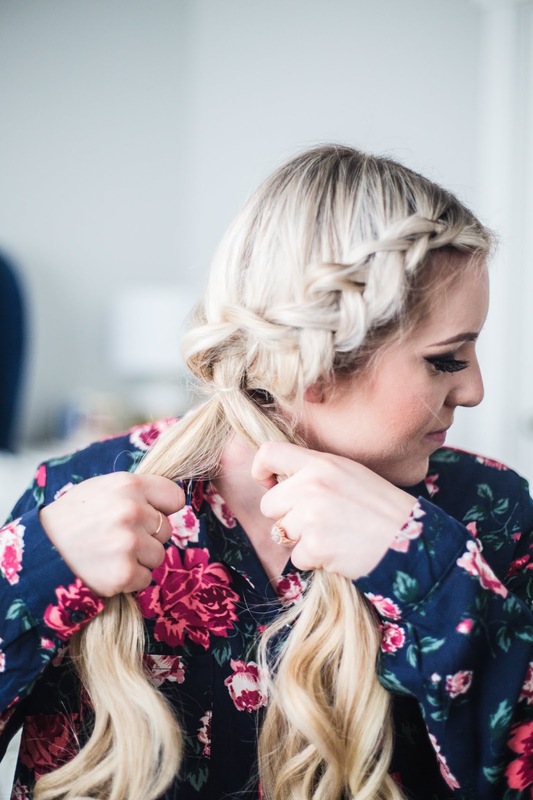 It is a pretty simple braid tutorial if you can braid, and if you aren't quite sure how to braid it is never too late to learn! I didn't start learning more complicated braids until about 2 years ago. I promise practice makes perfect. 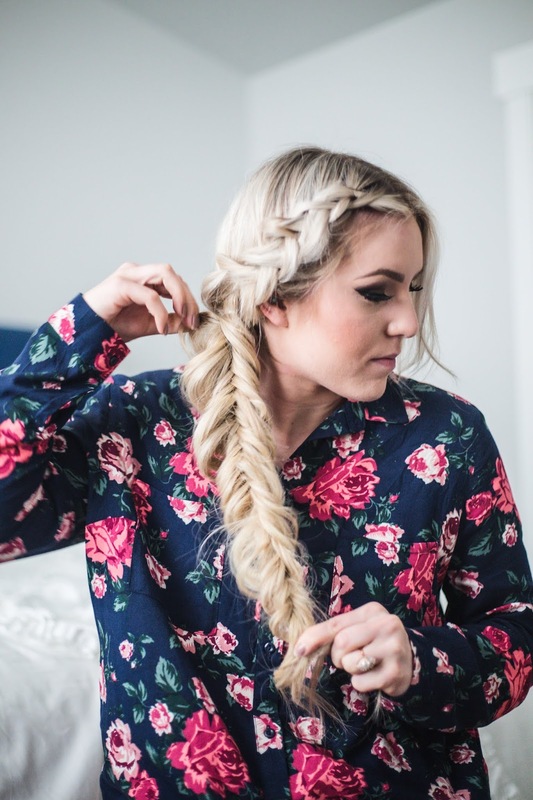 This look consists of a Dutch Braid and a Fishtail Braid. 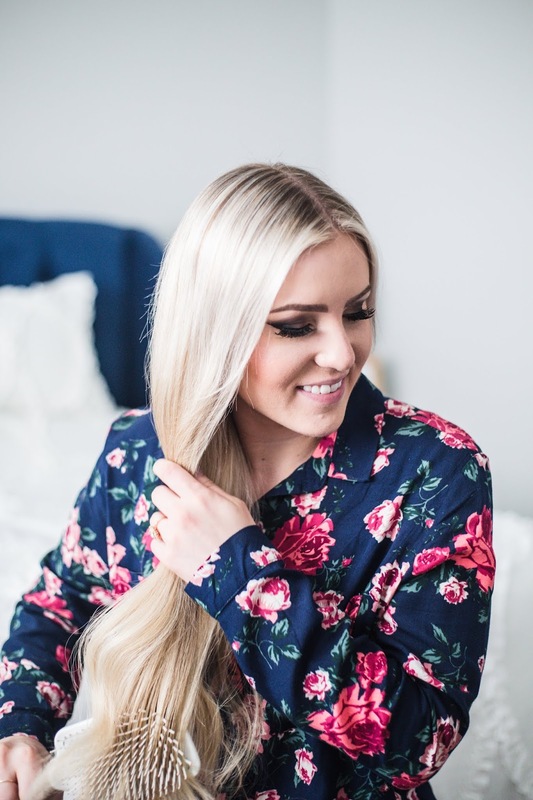 I also wanted to share a few of my favorite T3 products that I used to help achieve this look. 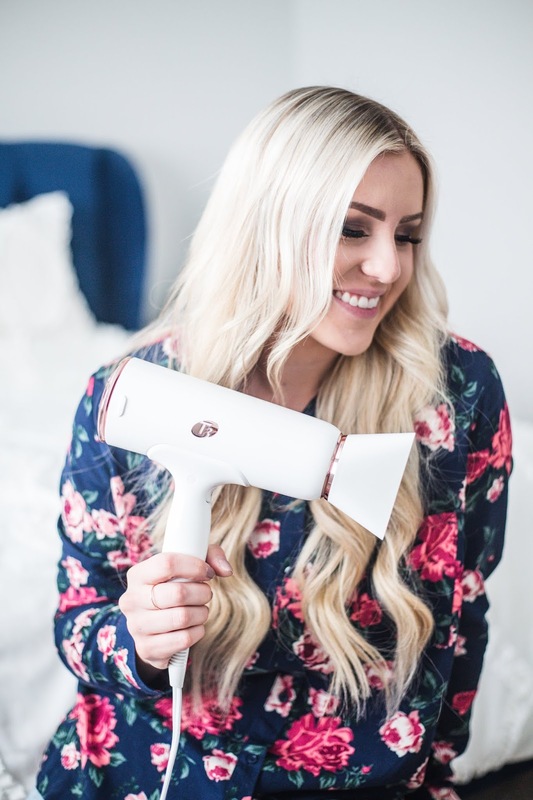 T3 sent me their new Cura hair dryer and I am absolutely in love with it! 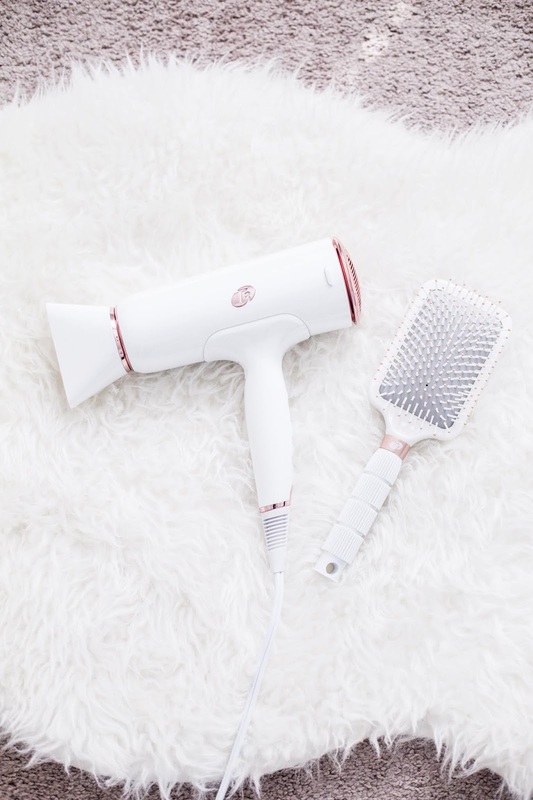 Of course I love the signature rose gold look T3 has, but I feel like this hair dryer dries my hair in record time! One thing I absolutely love about this Cura hair dryer is the buttons. It is so simple and so sleek. 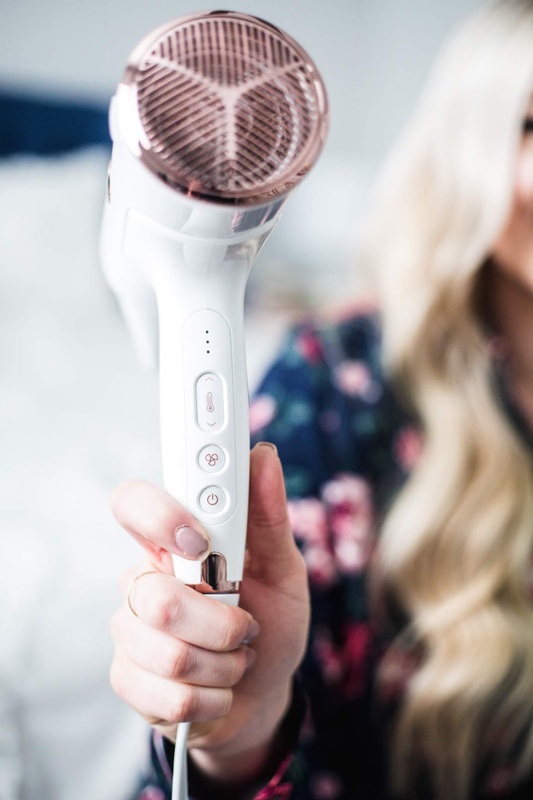 It has three speeds and I love that the cooling button stays clicked! 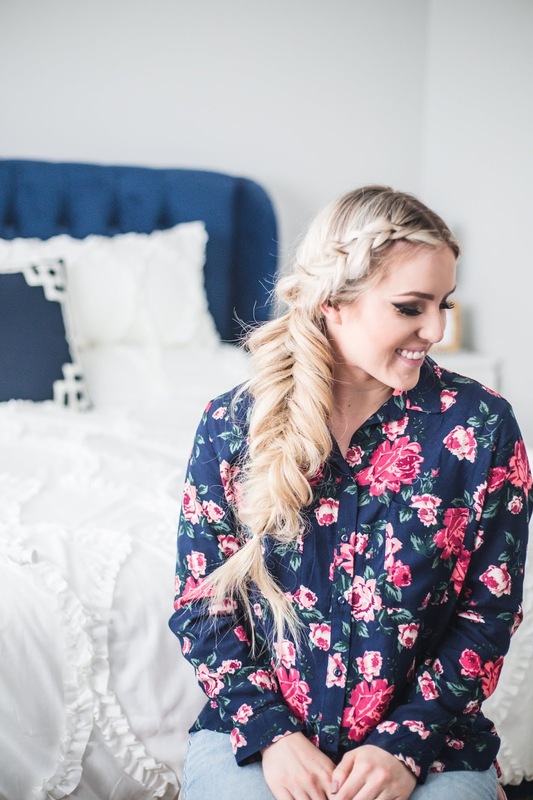 If I am going to be doing my hair in a braid I always like to make sure my hair is either curled, or make sure I spray some texture spray in it to give it more volume. It is just a sure way to make sure the hair style stays better. Before I start I always like to brush out all the tangles as well, unless I am going for a messy look. 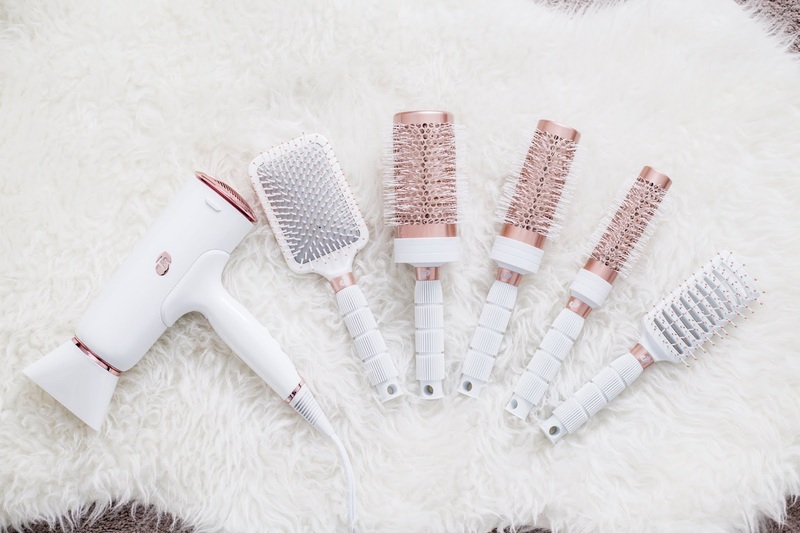 This Smooth Paddle Brush has been my favorite and seems easy on my hair. STEP ONE: start on either side by sectioning a chunk of your hair into three sections. It works best if that section is close to the front, and where your part is. STEP TWO: start braiding your hair into a dutch braid. It is exactly like a French braid except you fold the hair underneath instead of over the top. 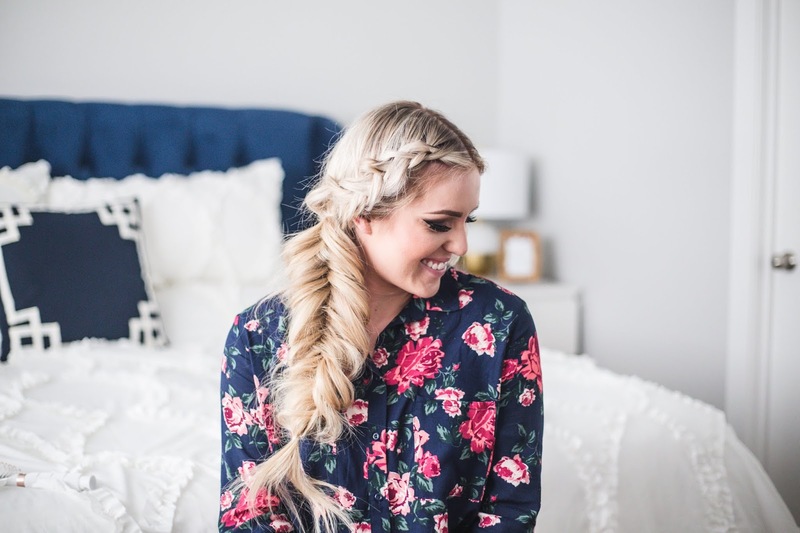 If you aren't sure how to do a dutch braid, there is a tutorial HERE. 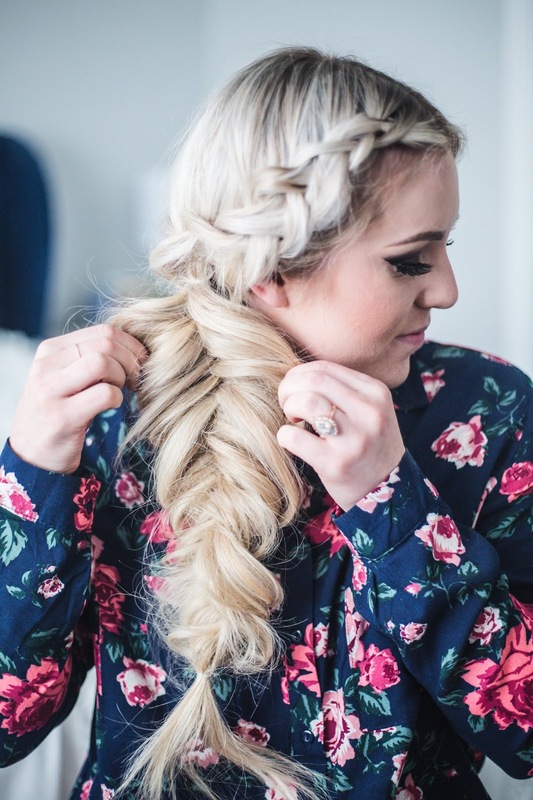 The reason I like doing a dutch braid is because it gives your braid the lifted effect once it is all "pulled apart." STEP THREE: once you have continued your braid down past your ear about an inch STOP. Before I go any further I like to "pull apart" what I have braided to make the braid look thicker. 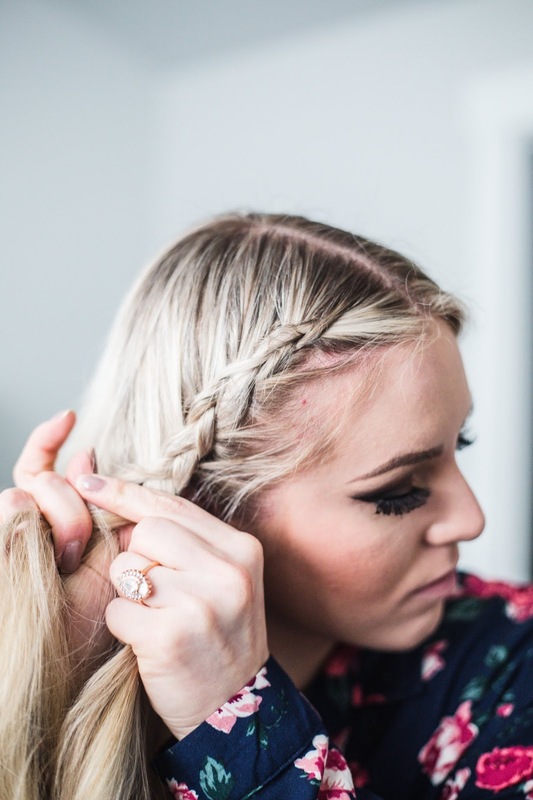 To achieve my favorite "pulled apart" look I grab the outer edge of the braid and pull. You can pull it apart till you are satisfied with how the braid looks! STEP FOUR: once you have pulled apart your dutch braid, take one of your clear elastics and make a ponytail right by your ear. I have found that if I put it into a ponytail it will keep the braid and look stable all day. Plus it makes transitioning into a fishtail braid a million times easier. STEP FIVE: now start braiding the ponytail into a fishtail braid. 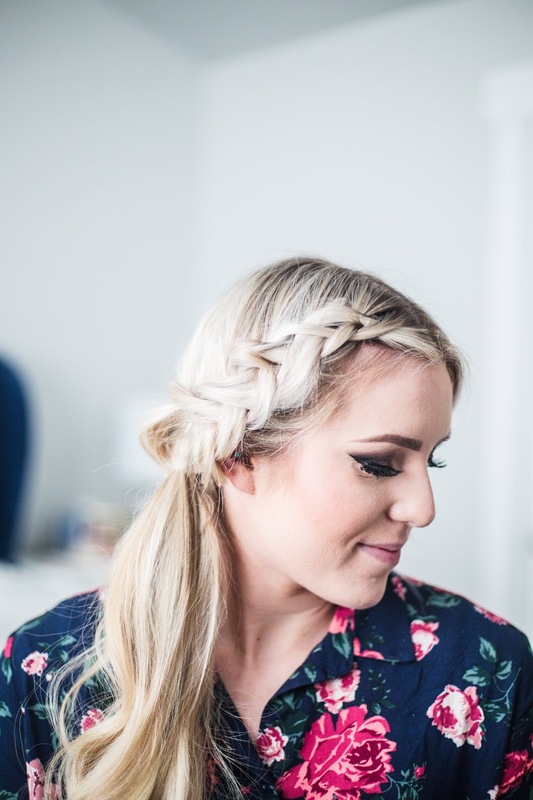 This is my favorite braid to do because it is so simple, even though it is a little more time consuming. 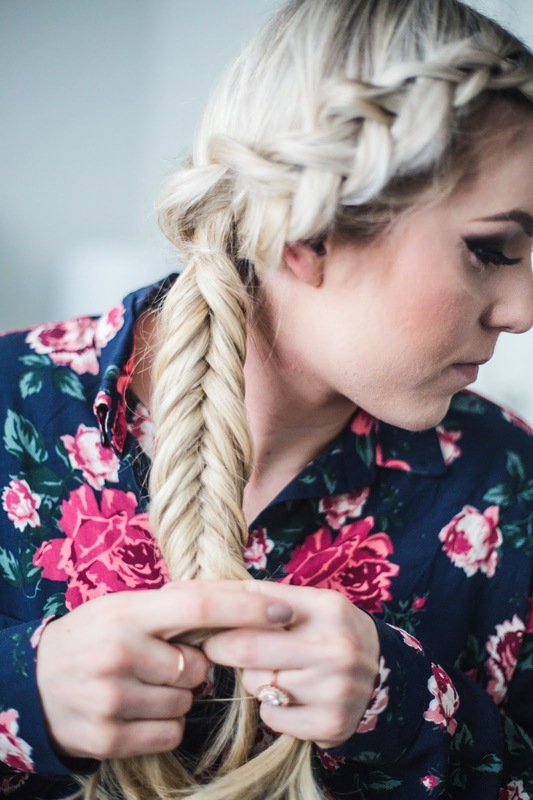 To achieve a fishtail braid you will section the ponytail into two sections. 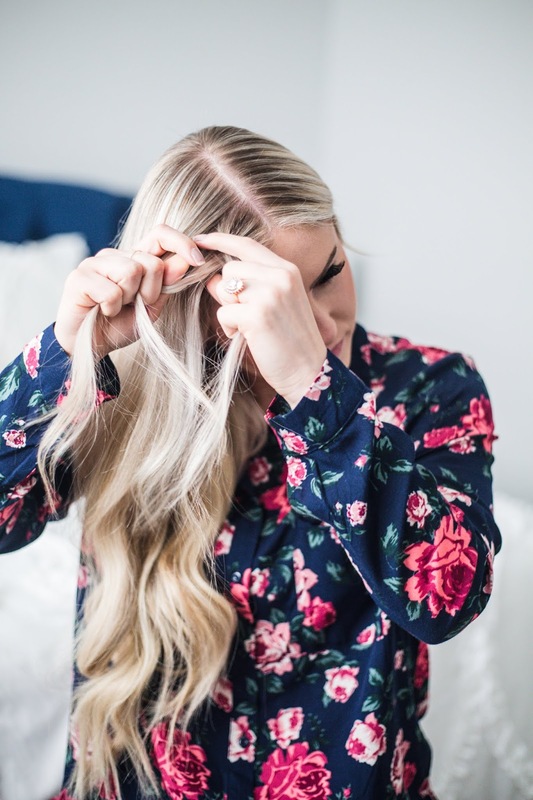 Then you will take a smaller section from one of the two sides and put it wrap it underneath and join that smaller section with the other side of hair (as seen below). 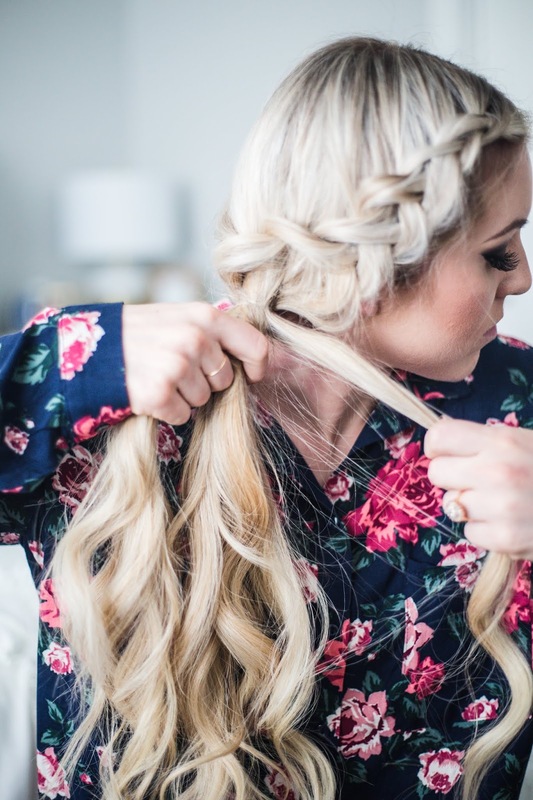 Keep braiding until you have reached the end of your ponytail. *Your braid should look similar to the picture above. 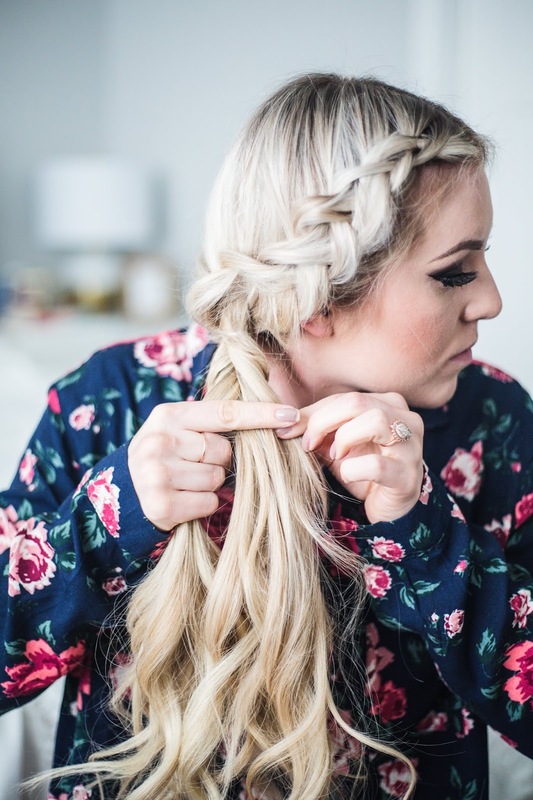 STEP SIX: Start pulling apart your braid! I usually start at the bottom and make my way to the top. I also like to pull it apart before I secure the end with an elastic. I like my braids to be big and fluffy so I am not shy about pulling it apart! 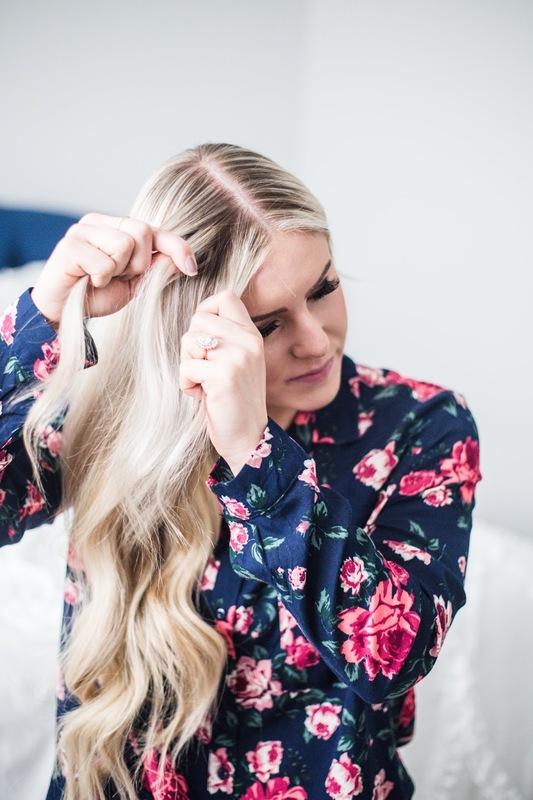 Once it is secured with an elastic I like to pull apart the sides just a little bit more, and finish it off with some hairspray! Then TA-DA! You have the finished product! Let me know if you had any questions about this hair tutorial, or if you would like to see any other hair tutorials in the future!